If you like a fast pace, high energy environment, Mikey’s is the place to be. Rub shoulders with KL’s coolest people and join our team. 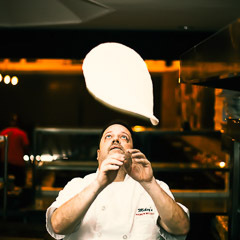 Mikey’s New York Pizza is expanding and looking for servers, delivery, chefs, cooks and dishwashers to come join our team lead by Famous New York Pizza Chef Andrew Bellucci. All positions have lots of room for career growth! Competitive pay! All positions receive EPF, SOCSO, Vacation, MC, medical benefits, parking allowance, transport allowance and bonus incentive!